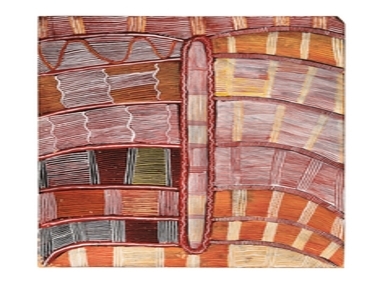 Mossgreen will sell an amazing array of Aboriginal paintings from the highly prestigious collection of the late John W. Kluge at their Melbourne saleroom on Wednesday the 6th of June. The sale, which is undoubtedly one of the most significant auctions of Aboriginal art this year, is predicted to be a huge success. Twenty years ago, John W. Kluge, a billionaire media mogul who died in 2010, started building perhaps the largest collection of aboriginal art outside Australia, which he donated to the University of Virginia in 1997. The collection of over 60 works has been repatriated for sale in Australia via Christie’s, New York and their Australian offices. The collection features some exquisite Papunya boards which are considered by many as the jewels of Australian Indigenous art. Through his contacts with Christie's, Paul Sumner, Director of Mossgreen Auctions, was able to secure the 66 works he will be offering on the 6th of June. Proceeds of the sale will be used to support the student scholarship program of Kluge's alma mater, Columbia University in New York. 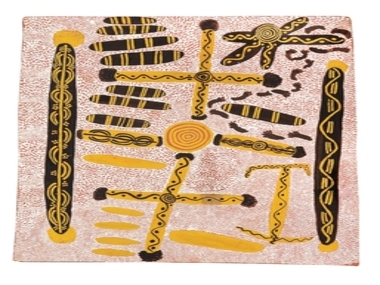 Big Corroboree with Water Dreaming Sacred Tjurungas, circa 1971/72, which is expected to fetch $30,000-40,000 and Lot Number:39, Sandhill Dreaming, circa 1972, by Mick Namarari Tjapaltjarri estimated at $35,000-45,000.